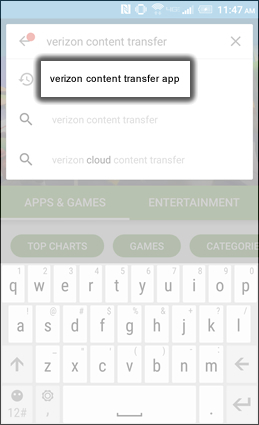 While in the Google Play Store, tap the Search field (at the top) then enter verizon content transfer. Tap verizon content transfer app. 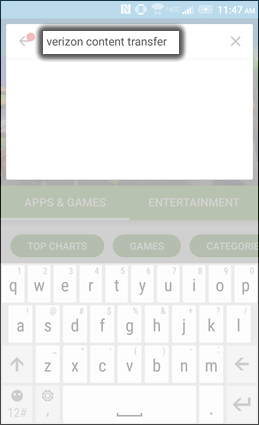 All permissions must be granted in order to use this app. 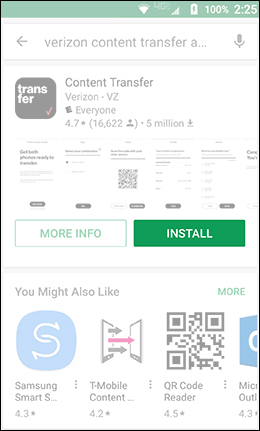 Read the Terms and Conditions then tap Start transfer to continue.